Muhammad Zahir Shah reigned over Afghanistan from 1933-1973. Photo from AP / Guardian. The U.S. War Machine has been bombing Afghanistan for over eight years in its endless war against the Taliban regime’s Afghan government. Yet over 80 percent of Afghanistan’s territory in early 2010 was apparently still controlled by the Taliban regime and other armed Islamic guerrilla groups in Afghanistan that are apparently now allied with the Taliban. One possible reason neither the Republican Bush II Administration nor the Democratic Obama Administration was able to achieve a quick military victory in the endless war in Afghanistan is that most members of the militaristic U.S. Establishment’s foreign policy-making elite apparently still don’t know very much about the history of the people of Afghanistan. 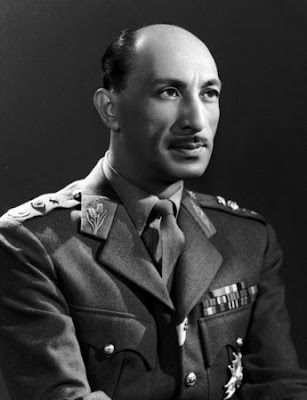 Nadir Shah’s successor as Afghan King, Muhammad Zahir Shah, sat on the Afghan throne, for example, from 1933 to 1973 -- although he apparently never received as much mass media coverage in the USA during his 40 year reign in Afghanistan as did either Queen Elizabeth II or Princess Di of England. The German colony in Afghanistan…greatly increased on the eve of the Second World War... Hitler’s agents Schenk, Fischer, Wenger and Knerlein... infiltrated the war ministry and the ministry of public works of Afghanistan... Nazi Germany managed to spread its influence among tribes in the south of Afghanistan and in the north-western border areas. And apparently Nazi agents in Afghanistan encouraged increased anti-Semitism in Afghanistan during World War II, so that the economic situation of the remaining Afghans of Jewish background deteriorated when Zahir Shah’s monarchical government restricted their economic activity to local trading only and removed them from the foreign trade positions some had previously held. But Zahir Shah’s government did not align Afghanistan with Nazi Germany during World War II. Instead, Zahir Shah's government announced in November 1941 that -- like the Irish government of Eamon DeValera -- it would remain neutral during World War II. Yet during Zahir Shah’s 40-year reign, some people in Afghanistan began to demand more democratization and modernization. A secret society of supporters of constitutional reform and democratization, the People of the Afghan Youth (Halqa-yi-Jawani-I Afghanistan) was formed and then broken up by the monarchical regime. But after Zahir Shah appointed his uncle, Shah Mahmud Khan, to be the Afghan monarchy’s prime minister in 1945, Shah Mahmud ordered the release of all Afghan political prisoners. The first student union in Afghanistan, called the Union of Students, was then founded in 1946 and its political orientation was liberal reformist and anti-imperialist. The following year, the anti-monarchist, Awakened Youth (Weekh--Zalmayan) group of Afghan nationalists was started, which openly discussed the ideal of setting up a democratic republic in Afghanistan. At the same time, between 3,500 and 5,000 Afghans of Jewish background still lived in Afghanistan in 1949 -- with more than 2,000 of them residing in the city of Herat and deriving their family incomes from the Persian carpet trade or from employment as tailors and shoemakers. But aside from a few wealthy families, most of the Afghans of Jewish background were forbidden to leave the country between 1933 and 1950. After 1951, however, they were allowed to emigrate from Afghanistan. By December 1969 only a few dozen Afghans of Jewish background still lived in either Herat or in Kabul; and, in all of Afghanistan, there were now only about 300 Afghans of Jewish background. And by 2005, according to The New York Times, only one Afghan of Jewish religious background apparently still lived in Afghanistan. the economic development of Afghanistan’s economy. After a 1952 demonstration was held by these groups which demanded that people in Afghanistan be allowed to form political parties, however, the monarchical Afghan government prevented any further protest by these dissident political groups. According to Afghanistan: A Modern History, for example, just before a 1953 palace revolution in Afghanistan, the Movement of the Enlightened Youth/TNB group of young political dissidents “was suppressed” by the Afghan monarchical regime and “some of its more vocal leftists were jailed.” The same book also recalled that among the Afghan leftist dissidents imprisoned in 1953 were included Dr. Abdul Rahman Mahmoodi (who was “the doyen of Afghan Marxism”), an Afghan historian named Mir Ghulam Mohammad Ghubar and an Afghan Marxist intellectual named Mir Akbar Khyber. Next: “A People’s History of Afghanistan—Part 6: 1953-1967"